Emma was a baby she would sit in a park and little chipmunks would come and get relatively close to her and just sit and watch her. Then as she got older, deer would approach her, butterflies would land on her, dogs and cats who didn't like kids would find themselves wrapping themselves around her feet. She had a calming spirit and the animals wanted to be near her. She would always tell us that she could talk to the animals and that's why they liked her. All animals – the furry ones and the feathery ones. The young ones, but especially the older ones, the ones who were sick or would be harder to adopt. 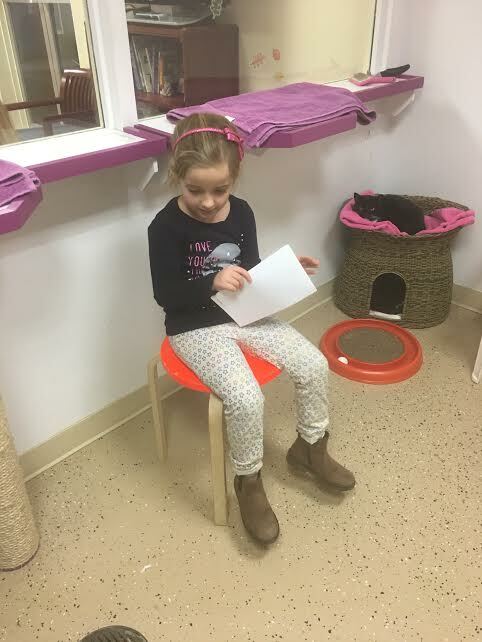 Emma loved reading to the cats and dogs at PAWS in Norwalk. She started reading to them before she could even read and would make up the story that went along with the photos. She turned the pages around so the animals could see the pictures too. You can help out PAWS by either sponsoring an animal in Emma's honor, getting something off of their wish list, or donating via Emma's Plan button below. 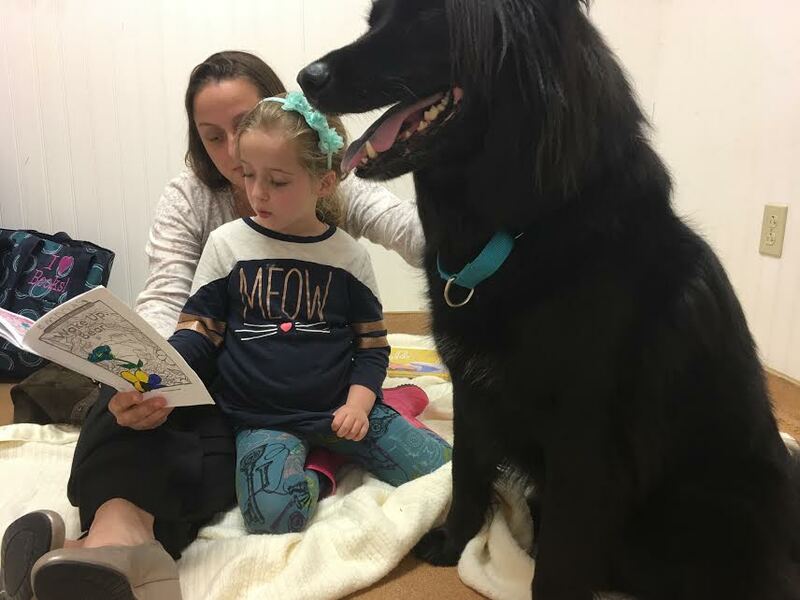 You can visit Emma's Corner at PAWS and talk to them about reading to the animals.